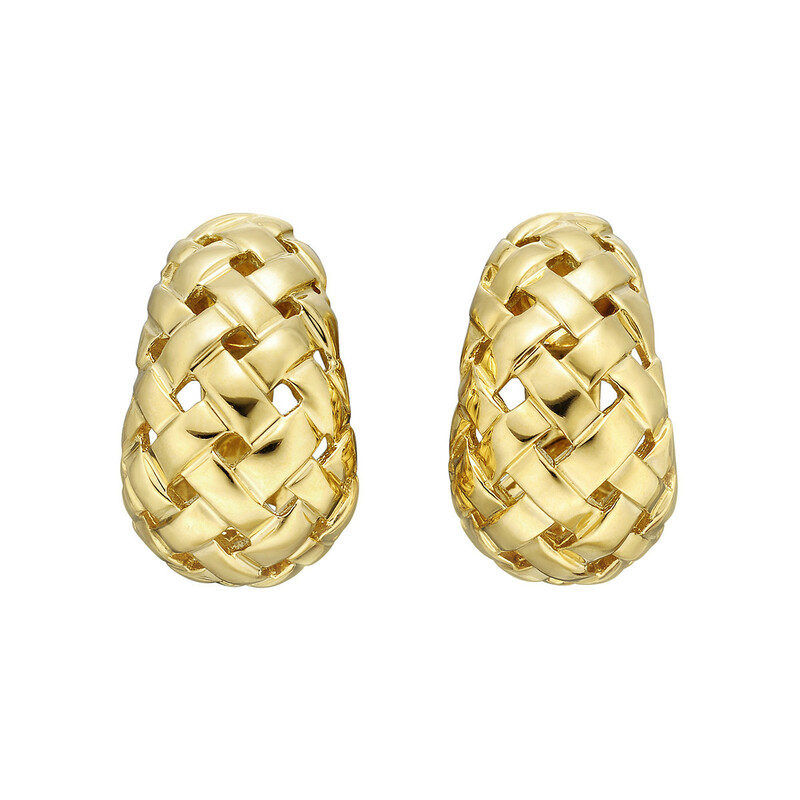 "Vannerie" basketweave-style half hoop earclips, in polished 18k yellow gold, signed Tiffany & Co. Clip backs. 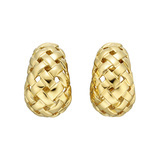 1" long and 0.6" wide at widest point. 16.2 grams total weight.